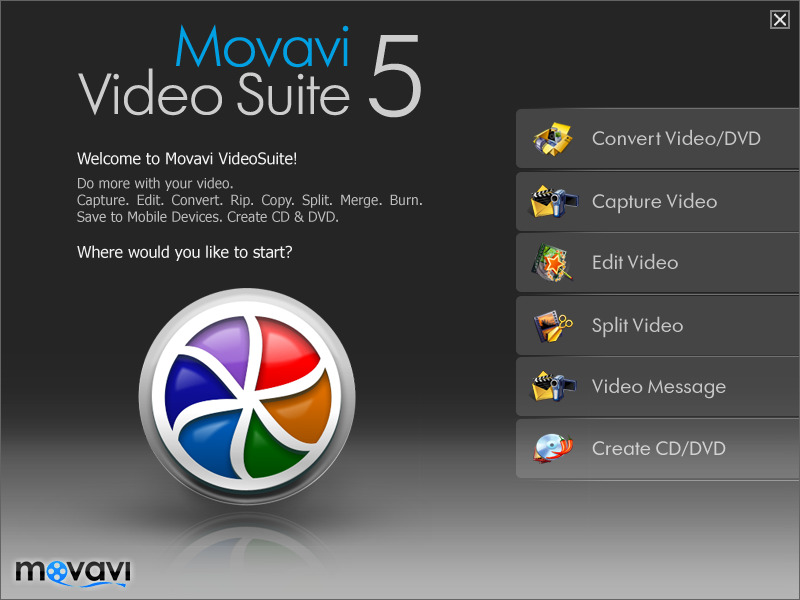 Movavi VideoSuite is an ultimate rendition of MOVAVI's movie editing software programs. You can convert, split, combine, repair, edit on the storyboard and enhance existing movies. Create, burn, copy and backup your DVDs, create Hollywood-style animated and static DVD menus - all with just one package! You can capture video from your video camera, edit and burn it within one program. No need to waste time and money buying the programs separately. Take advantage of this great offer to get Movavi VideoSuite just for $59.99 - just look at what you get!